Jessie Gallan shocked the whole world when she stated that her secret of living past 100 years old is her avoidance of men. Jessie repeatedly said that men are more trouble than their worth. Apart from her decision to avoid men, she got other secrets that made her live longer. Jessie Gallan was born in Aberdeen, UK. She lived a simple life and worked hard since she hit 13. In her many interviews, she emphasized the value of independence and hard work as the key to healthy living. When she turned 108 back in 2015, she made headlines in many journals after she revealed her secret of why she lived longer than average. Her decision to become a spinster became an indirect message to some feminists to believe that she made the right decision. She died on March 27, 2017. 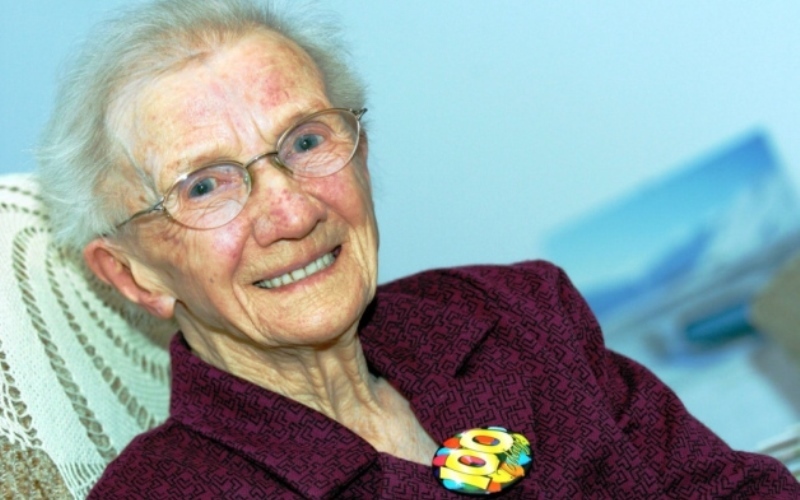 She was the oldest woman in Scotland before her death. Hahaha Jessie grandma may be your secret was true for you and yourself but these logic is unreasonable and most foolish claim. Yes, I too can say that avoid women to live long life because the most trouble of man was started from women. Do you thing people will except it...? If every women are mandate to avoid men for long life than what this universe is for? And what will happen? Many people around the world mostly in South East Asian countries like Japan and China have recorded and claimed the oldest serviving human. But, non of them never say that I am living older due to avoidance of a men in my life. It's only depend upon lifestyle and foods but nothings else.... Yes, you may be feel free by avoiding men from your life that was your problem.